Who isn’t playing Pokemon GO? Love it or hate it, you just can’t ignore the latest mobile gaming craze. ‘Craze’ is not an exaggeration. Far-flung corners of Spottiswoode Park, Tampines, and other secret “PokeStops” in Singapore are yielding spontaneous gatherings of Pokezombies. Adults, youths, people of all faiths and callings who congregate in the name of the mighty Pokemon GO. Since its launch in Singapore on August 6, there has been a frenzy of downloads and a backlog of Pokemon-related social media updates. SimilarWeb reports that globally there are more installs of Pokemon GO on Android than Tinder, and players use the app, on average, 43 minutes a day. That is more than the average time spent on Whatsapp, Facebook, Twitter, and other incredibly popular applications. Looking at behaviour that borders on mass hysteria, I couldn’t help but compare this with how the various promises of gamification at the workplace have so far been more sizzle than steak. If only companies could mobilise their people in the same way that Pokemon GO has its gamers. If only employee engagement was a reality and not a statistical artefact. The way to deal with this is to take a hard look at what Pokemon GO has gotten right, and compare that to what the typical company gets wrong in engaging its employees. Edward Deci’s experiments on extrinsic and intrinsic motivation in the 1970s laid the foundation for Daniel Pink’s work on intrinsic motivation – the 3 elements which can be harnessed to tap into genuine employee engagement. These are: Autonomy, Mastery and Purpose. As we will see, the game mechanics of Pokemon GO manages to touch on all 3 of these in powerful ways. Applying the science of motivation and addictive game mechanics may be a long shot, but if the results even vaguely approach the success of the game, it’ll be worth the effort. One of the most important elements of engagement is autonomy. Yet, in most workplaces, it sometimes can appear as if managers and HR departments are paid to remove as much autonomy from their people as possible. On the other hand, Pokemon GO is free to download and play, making access to everyone with a smartphone completely available. Certain gameplay rules are enforced, but by and large the augmented reality interface makes the in-game freedom almost parallel to the physical movement of the player. The element of self-determination is also important. Players can choose their own goals, and take action to achieve those goals independently. In doing so, many take actions that stretch their capabilities – for example, many players report walking far more than they normally do to hatch Pokemon eggs, or travel to Pokestops or gyms. Supporting this, players achieve instant feedback and gratification on their actions. A gym is either taken or not, a Pokemon found in the wild is either captured or not, and XP (‘Experience Points’) are instantly credited. Policy and rules infrastructure should be as light as possible. While it may be tempting to respond to claims fraud by tightening rules, sometimes trusting your employees and letting them act in the company’s best interests may be the better long-run play. Allowing employees to get involved in the Key Performance Indicator (KPI) and goal-setting conversations in a meaningful way improves the chances that they would put in discretionary effort towards achieving those goals. Real-time feedback on performance, for example allowing managers to gauge the level of engagement of their team at any point, allows for a greater sense of autonomy as consequences and rewards are much clearer to the people involved. The second major element in creating an engaging workplace is to allow for mastery. We naturally want to get better at doing things. Earned success, the sense we get when we feel we’re making progress, is essential to our inner motivation. This applies both to our results at work, as well as to the improvement in our capabilities and skills. While it is commonly recognised that adult learning follows the 70/20/10 rule, most leaders and HR departments obsess over the 10% spent learning in classrooms. Long discussions happen over training budgets, average number of hours spent training, and so on. Yet, almost no attention is paid to how managers are equipped to coach their staff, whether they conduct such coaching well, and the nature of stretch assignments they give to their people. Pokemon GO is almost the exact opposite. Hardly any formal instruction happens upon downloading the app. The player is thrust straight into the fray. Learning is conducted ‘just-in-time’: a search for “How to win at Pokemon GO” delivered 13.4 million results. This less than 2 months after the game was first launched in Australia and New Zealand on 6 July. Skills-based training happens on the fly. 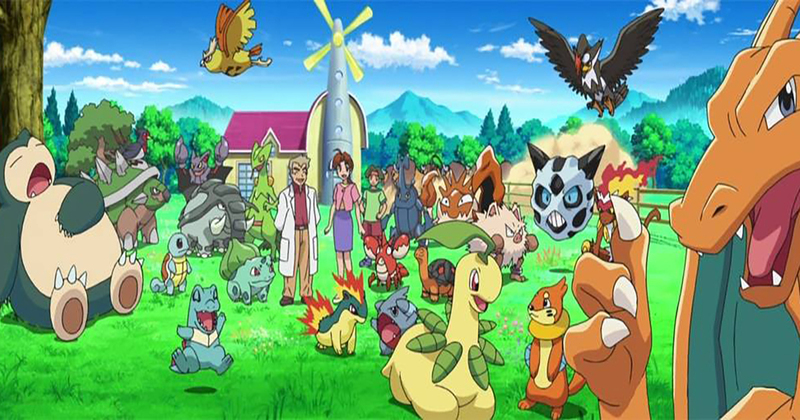 Perfecting your Pokeball throw to catch highly sought-after Pokemon is something players pick up on their own. Many other skills happen through repeated gameplay and knowledge sharing on open forums. These contribute to a ‘flywheel effect’ of learning. Self-directed learning leads to greater knowledge and skills retention, accelerating the journey towards mastery. The more you have invested in acquiring skills (or XP in Pokemon GO), the more you would tend to value those skills and the more inclined you would be to continue investing in acquiring them. This positive application of the ‘sunk-cost’ psychological bias deepens engagement through mastery. Pay close attention to how (if at all) managers are coaching their staff on performance. High frequency and targeted feedback allow for greater learning and accelerates skills mastery. Create an environment that encourages open knowledge sharing and ‘just-in-time’ learning. Employees, when motivated, don’t need to be spoon-fed. Allow some learning to be self-directed, giving employees some room to make mistakes. The elixir of purpose ties everything else together. It is often said that if you can figure out the ‘why’ of a task, you would have no problems figuring out the ‘how’. Pink finds that connecting to a cause larger than yourself drives the deepest motivation. This isn’t some word-smithed, corporate jargon-filled vision statement that lines the halls of so many companies. Statistically, “the mission and purpose of my company makes me feel my job is important” is a critical driver of engagement. How this actually plays out practically has a greater emphasis on ‘makes me feel my job is important’ than the presence or absence of a ‘mission and purpose’. 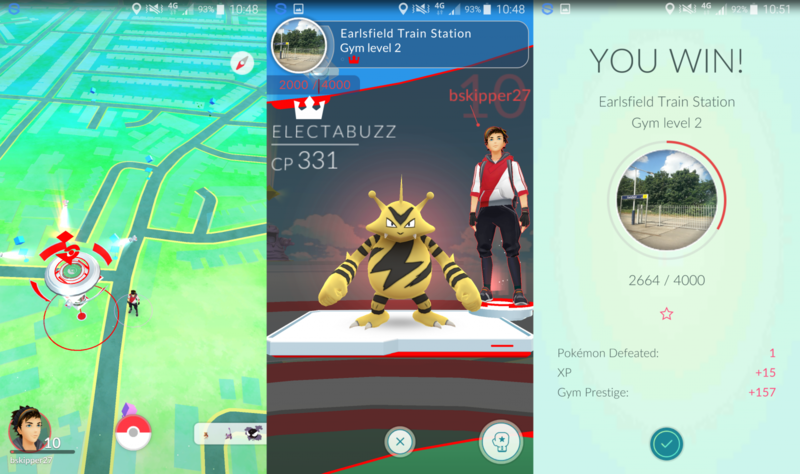 Players in Pokemon GO self-organise to do things like take over a gym. Sometimes there is some prior coordination, but most of the time this happens by chance. While the complexity of that task is albeit much lower than that of most work projects, the power of even a temporary purpose that ‘feels important’ to unlock cooperation between strangers is evident. 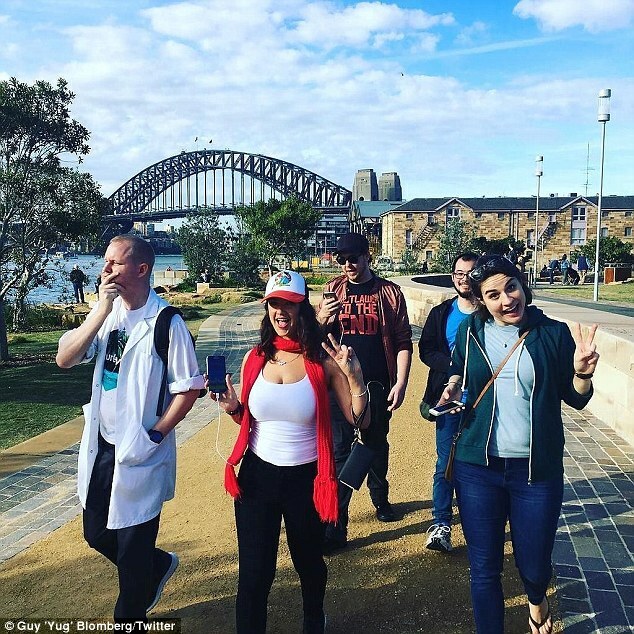 Otherwise intelligent people while playing Pokemon GO find themselves going at it for 48 hours straight, running down multiple phone batteries, and performing other madcap stunts. Interestingly, none of this is actually for any money. While there probably are many who are playing the game for entertainment, many others have started because they have been caught up in the Fear of Missing Out (‘FOMO’; yes that’s the technical term). The strength of the movement – endless social chatter, multiple communities on Facebook, Reddit, and other sites – create a compulsion for players to download the app to “just try it lah”. Much as we’d like to believe high ideals and concepts of value-add bring purpose, sometimes the effects of a community and the sense of a grassroots movement can be just as motivating as a purpose. Approaching change management with the lens of internal marketing may be helpful, evoking the FOMO response can allow purpose to build and snowball in a positive direction. There are fundamental differences between the employee experience at work and a smash hit revolutionary mobile game. The holy grail of a completely gamified employee environment has yet to be achieved, and it is possible that the core difference between work and play will never be bridged through artificial gimmicks. Nevertheless, the psychology of motivation and employee engagement is remarkably similar to the psychology of addictive gameplay. Using these levers in shaping your workplace may just help make your company the next big thing in the talent market. This article was contributed by Leong Chee Tung. Chee Tung is the co-founder and CEO of EngageRocket.co, and is passionate about the potential of technology and data to improve the lives of people at work while making teams more productive.